Esquire Recruiting – committed to forging strong, effective, long-lasting relationships between candidates and clients. Since its inception, Esquire has consistently helped candidates reach career goals, and strengthen companies by placing the “best in talent.” Guided by timeless core values, Esquire’s strength and proven long-running success is rooted in a strong moral work ethic. To best meet the needs of those they serve, Esquire Recruiting fosters creativity, innovation, and leadership, while consistently challenging their team to assure their place at the industry’s forefront. Through these combined efforts, Esquire Recruiting strives to positively impact and shape the workplace while guiding their candidates towards a fulfilling career experience. Founded in the fall of 2012 as a full-service multi-industry recruiting firm, Esquire offers a unique boutique feel while delivering a sound corporate approach to addressing the important hiring needs of today. With its genuine approach in providing professional, strategic, and sophisticated recruiting partnerships to businesses of all types, Esquire has successfully staffed positions worldwide, acquiring recognition in the international market and landing itself on the 2016 INC 5000 list of fastest-growing companies. Owner and President, Scott Fischer, joined the Esquire Companies in 1983, working hand in hand with the CEO to grow the company into a world-class and nationally recognized recruiting firm. Over the past 32 years, Esquire has continued to brand its services, integrity, strategy, and professionals as a true recruiting and multi-integrated staffing solution provider to local, national, and international clients. It is our bottom line commitment to execute and deliver champion results on every single recruitment search project with our business partners. Our professional team of talented and highly educated recruiters is completely dedicated to listening carefully to you in an effort to best understand your needs. Our success is critically dependent on our relationships, and you can count on our loyalty and expertise in being your primary exclusive human capital partner. The Esquire team is most proud of their many accomplishments and the highly respected reputation that has been branded with our successes. More importantly, we are excited to see what lies ahead in the future for our firm, our business partnerships, and YOU! Please give Esquire Recruiting the opportunity to show you why so many top candidates and businesses exclusively utilize our services. After branding a long and successful career in his family owned full-service staffing firm, Scott went on to pursue his lifelong dream of launching his own unique recruitment brand. Scott has developed a highly successful, top-performing generalist recruitment and consulting firm based in Lincolnshire, IL just north of Chicago. His commitment to identifying and developing mutually beneficial talent relationships makes him an asset in this industry. The referrals Scott receives is a true validation that his reputation and dedication to successful results are both valued and respected. An ‘opportunity’ is by definition a favorable or advantageous circumstance, but what is constructive and desired by one most certainly varies from another. To the thoughtful and knowledgeable eyes of Scott Fischer, no two companies are identical and no two searches are alike. Scott understands cultural dynamics, business objectives, and career aspirations, and he expertly delivers true opportunities for both accomplished candidates and compelling clients. 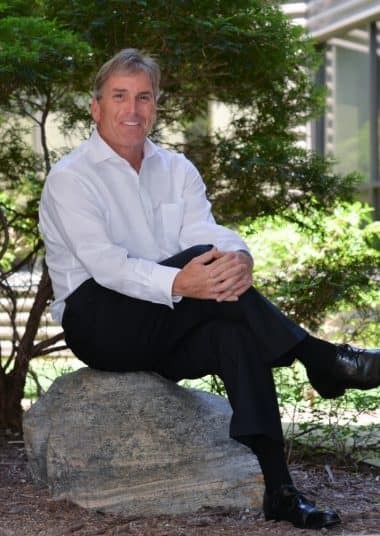 With authentic interest and expertise, Scott skillfully connects businesses with individuals and creates lasting talent partnerships – between candidates and companies, from industry to industry and at all verticals – Scott looks to align ideal opportunities for mutual benefit and enduring growth. As the founder of Esquire Recruiting, Scott is proud of the value proposition he brings to every unique search. His clients are local, regional and national in scope and range from boutique through global Fortune 50. With a unique blend of compassion and capability, Scott facilitates measurable improvement for all of his professional client relationships as well as for the candidates he recruits and diligently partners with. His deep understanding of what drives the success of his clients enables Scott to consistently provide consultative, insightful career and hiring guidance throughout the recruitment process. Scott invests the essential time and consideration necessary to ensure that the candidates and opportunities he represents satisfy collective requirements and exceed long-term, strategic objectives. As a native Chicagoan, Scott revels in the pace and energy of the city. When not actively recruiting, he enjoys spending time with his wife, two daughters and English Cream Retrievers. Scott is an avid golfer, runner, and cyclist. He continues to focus his energies on self-improvement-both professionally and personally. Scott earned his BS degree in Marketing and Finance from the Kelly School of Business at Indiana University in Bloomington Indiana. Scott is actively involved in a number of industry related associations and is a Certified Personnel Consultant (CPC). Laura McDermott has a solid and successful track record of delivering dynamic candidates to every client search. Laura’s energetic and proactive approach enables her to creatively identify effective solutions to all of her business partners. She is diligent, driven, and always focused on the specific needs of both her clients and candidates. You can always count on her to make the best match. By listening closely and asking the right questions, Laura is able to understand exactly what her clients and candidates really want and need in order to provide it. She pays attention to every detail and delivers award winning results – both to companies seeking talent and to candidates looking for their next great job. Laura has served clients across a broad range of industries and is well versed in a variety of functional disciplines, most notably in the areas of accounting and finance. Her strength in those areas stems from her early career as a CPA in a public accounting firm. 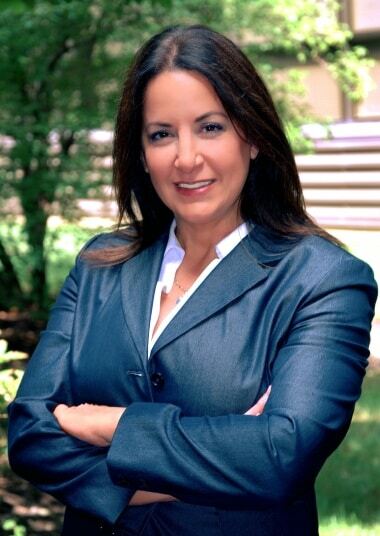 Laura earned her undergraduate degree in accounting from the University of Illinois and has her Master’s Degree from DePaul University’s Kellstadt School of Business. She will work tirelessly until the job is done…and then rest in savasana on her yoga mat! Alexis joined the Esquire team at the start of the new year and has provided significant guidance and promising, innovative, and creative ideas to enhance Esquire’s presence through social media and digital marketing campaigns. Her expertise encompasses communications, journalism, copyright, design, and various components within the marketing industry. Alexis plays an integral role in expanding and further enhancing our social media presence, including but not limited to our Facebook, Twitter, LinkedIn, Instagram, and WordPress accounts. Receiving her bachelor’s degree at the University of Iowa, she was selected as one of the top students to be a strong member of the National Honors Communication Society. She has had experience in sales, PR, marketing, healthcare, and office management roles and internships. She has proven (in just this limited amount of time thus far) high success rates contingent upon dramatic rises in SEO, brand awareness, connections, and positive responses/feedback. Her ability to think outside of the box has brought a fresh new mindset to the team. Amy Altman joined the Esquire team with over six years of experience as a practicing attorney. After graduating from Loyola University Chicago School of Law in 2010, Amy began her career at a personal injury law firm. Subsequently, she clerked for a judge in the Cook County Circuit Court and most recently spent the last three years as an Assistant Attorney General for the Illinois Attorney General’s Office. Amy brings her attention to detail and willingness to go the extra mile with her to Esquire Recruiting. 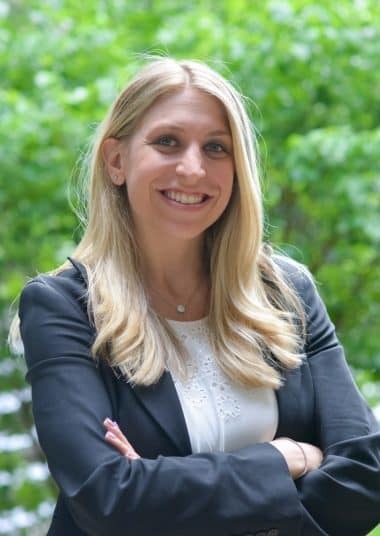 As a lawyer herself, Amy is skilled at listening intently and understanding the unique challenges and needs of each individual client and thinking analytically and outside of the box in order to find the perfect solution. Amy fully understands the hard work and dedication it takes to be successful not only in the field of law but in all professions. Amy brings with her commitment, drive, and determination to the table and these are the traits that she looks for in every candidate. Amy’s unique understanding of the industry, legal experience, and passion for helping people find the job of their dreams are what propels her to fit all of the different pieces together to successfully fill jobs. 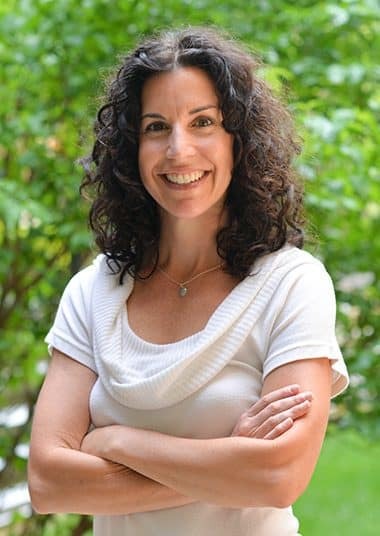 Amy earned her undergraduate degree in English and linguistics from the University of Wisconsin- Madison and her Juris Doctorate and Master’s degrees from Loyola University Chicago School of Law. When not working, Amy enjoys traveling, exercising, being outside, eating at all of Chicago’s new restaurants and spending time with her husband and newborn son. From Shenzhen to Chicago, Teresa Bravo is an experienced communicator with an accomplished expertise in cross-cultural environments. A dynamic bi-lingual Sales, Marketing and Client Service Representative with boundless energy, Teresa has worked with small, privately held businesses to Fortune 500 companies in the top-ranking economical continents of North America, Asia, and Europe. Leaving no stone unturned, Teresa has always approached each new chapter of her career with enthusiasm, commitment, and determination. During Teresa’s time in logistics where she was responsible for coordinating oversee shipments and meeting deadlines, her organizational skills proved to be her greatest attribute. Her work ethics and diligent to details while representing Manufacturers in Quality Assurance was evident in her track record in making sure regulations and maritime laws were met. Not one to back down from a challenge, Teresa has the uncanny ability to turn any situation into an opportunity – even if it means stepping out of her comfort zone to gain a new perspective. It is this same thought process that shaped her early her career when deciding to complete a 12-month course in International Business & Social etiquette. Her unique approach, tireless energy, engaging personality and overall style is an asset to Esquire-Recruiting. In understanding that no single industry or individual business is the same, Teresa makes it her priority to ask questions, listen and develop trust as she develops and grows her new business partnerships. As a first generation, American born to Italian immigrant parents, it is no surprise that Teresa enjoys her off time cooking and entertaining family and friends at home with her husband. Ciao for now! 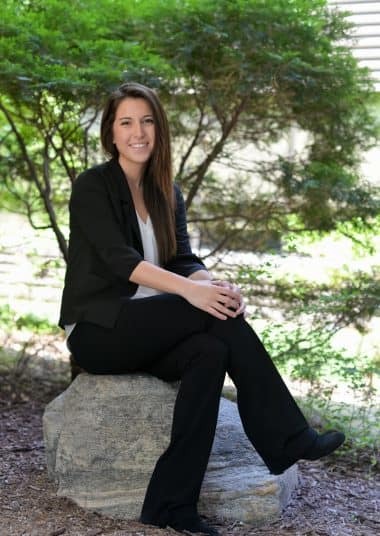 promotions, Hannah applied and was directly admitted to the Wisconsin School of Business. Academically she is pursuing her passion for marketing, while also teaming with Esquire Recruiting as their Summer Intern. In assisting with writing Esquire’s blog, managing their social media accounts, and helping with administrative tasks, Hannah combines her tireless desire to reach and attract readers with her creative and relevant content in order to expand Esquire’s professional footprint. In her free time, Hannah enjoys cooking, trendy restaurants, exercising, hanging out with friends, and spending time with her family.